Recently we were invited to present at Amazon’s Global SEO Summit in Seattle. We’ve been working with the world’s largest online store for more than 4 years now and it’s always an honor to participate with this intimate group of collaborative leaders to discuss the dynamic world of e-commerce. Because it was a private event, Amazon discussed several proprietary technologies and plans which, naturally, no one from the conference is at liberty to discuss publicly. 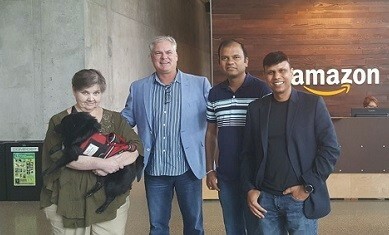 However, I can say that we were there to present our many global projects for the group, plus discuss how eZdia might help Amazon continue to improve the user experience for its shoppers, which is the rule that makes Amazon tick. No matter what we’re doing: our primary focus is always our customers’ needs. Amazon is an awesome partnership for us because we help improve their customer experience a little bit every day. Be it improving the look and feel of their dynamic search results, creating relevant category pages, building helpful buying guides, improving data inputs and outputs, or any other project, it’s genuinely about helping sellers and shoppers benefit from their relationship with Amazon. For me, one of the solutions that I’m the most proud of presenting isn’t the advancements in our automation technologies, but the energetic, talented and driven community of resources that helps make our clients’ content so exceptional. Quality content can’t exist in a vacuum, and we hire creative people who take a huge amount of pride in writing and editing every single product or search landing page. We have workers on 6 continents who speak dozens of languages, and enjoy the access and flexibility our platform provides across every part of the 24-hour continuum. We work with everyone from full to part-time parents, caregivers, stay-at-home moms and dads, or professionals who need a little extra work to make ends meet. These are the people who have been working for our clients through CrewMachine since we founded the company and our success is almost wholly due to their drive, professionalism, passion, and effort. They are the heros in our story. We started eZdia and developed CrewMachine with a two-fold mission: one to foster an online labor environment where creative resources could enjoy a quality work experience focused on global e-commerce; and second, to provide democratized income opportunities to thousands of workers who could not otherwise participate in the evolution of the global economy. Personally, my greatest fulfillment comes when I have the chance to talk about the positive impact eZdia has on the people that log into our platform every day. Let’s work together to enjoy even more success throughout the rest of the year. CrewMachine is a software platform that leverages the power of artificial intelligence to help you create and manage e-commerce content. 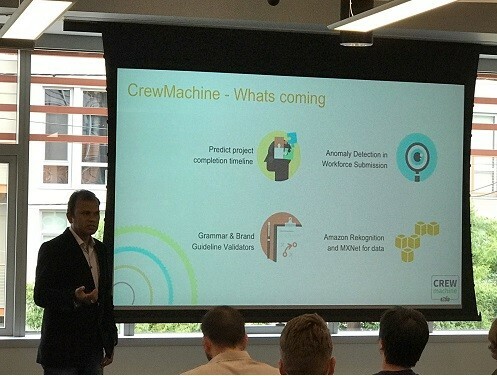 CrewMachine identifies content gaps, fixes them and measures performance analytics. It works for any type of content such as buying guides, product descriptions, category pages and more. CrewMachine is supported by eZdia’s Content Center of Excellence with certified project managers and content experts.